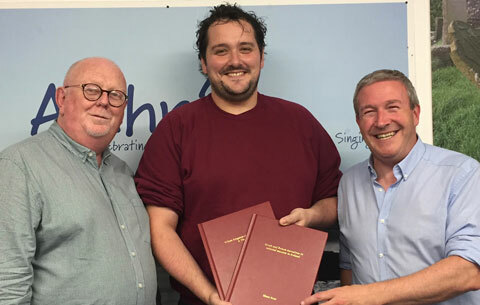 Shane Kent who was a student of Cultural and Heritage Studies in CSN 2012 - 2013 came back to present copies of his Master of Arts Degree in Archaeology thesis to the CSN Library. 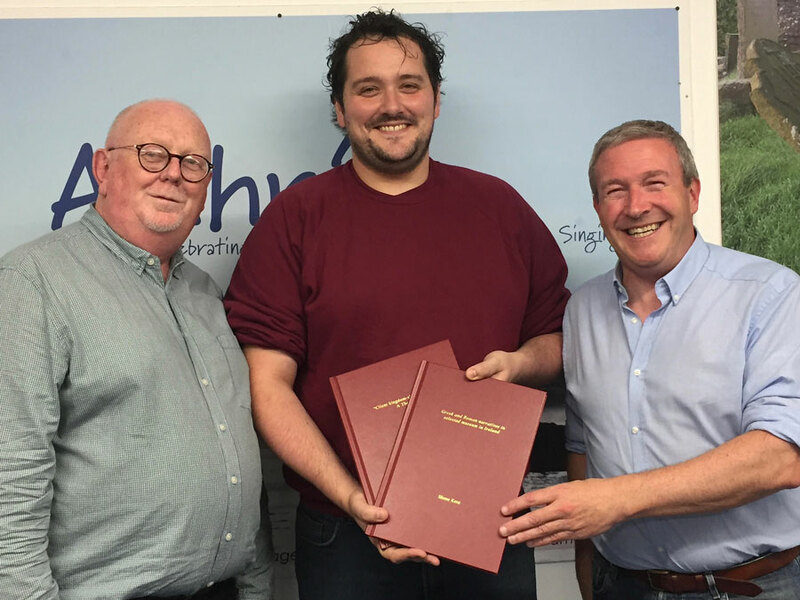 Shane, who specialises in historical re-enactment used the CSN course as a stepping stone to get to UCC and having succeeded in his BA Degree, completed his MA Thesis on Greek and Roman Narratives in Selected Museums in Ireland. Here pictured with Course Directors Tim Murphy and Shane Lehane who are very proud of his many achievements.